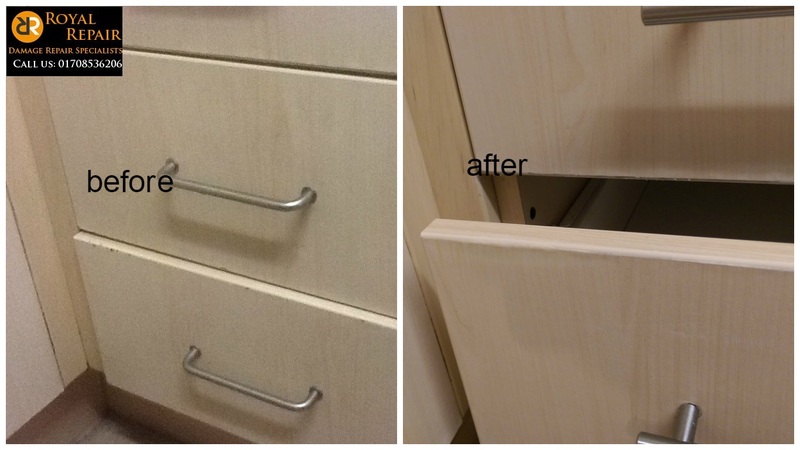 Mother of five just moved to her new home in Romford, Essex. She decided to use royal repair restoration services instead of replacing her kitchen units. 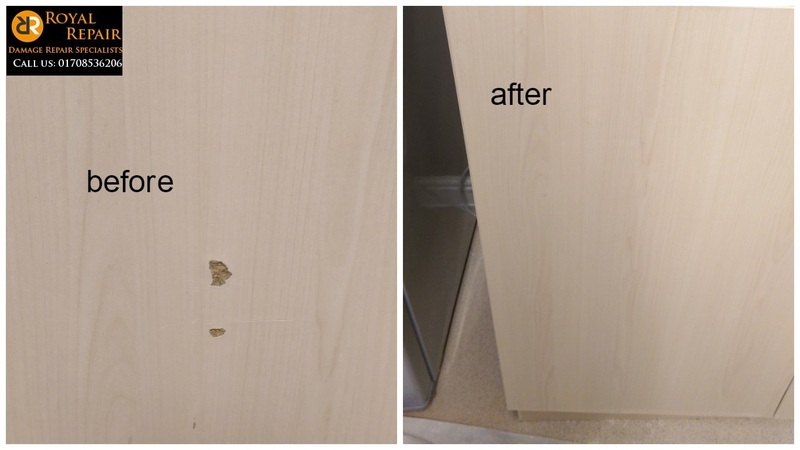 There was loads of chips, scuffs, scratches on cupboards doors. 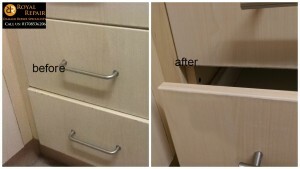 Drawer’s corners were damaged and some edges had water damage. We brought them back to “like new” stage. 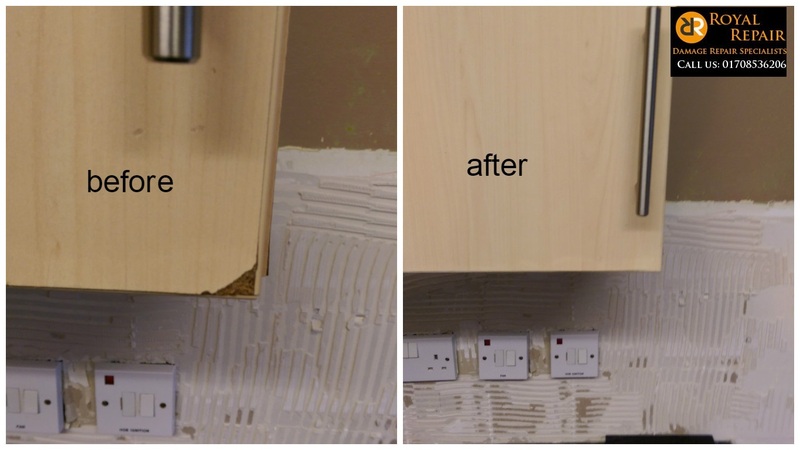 The reason our French Polishers are first on the market in the United Kingdom is, because we repair not just wood, but any hard surface on site. Cosmetic repair and resurfacing saves money on replacement products, installation costs and disposals. 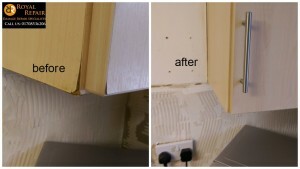 Our repairs also stop thousands of items in the built environment from being scrapped.